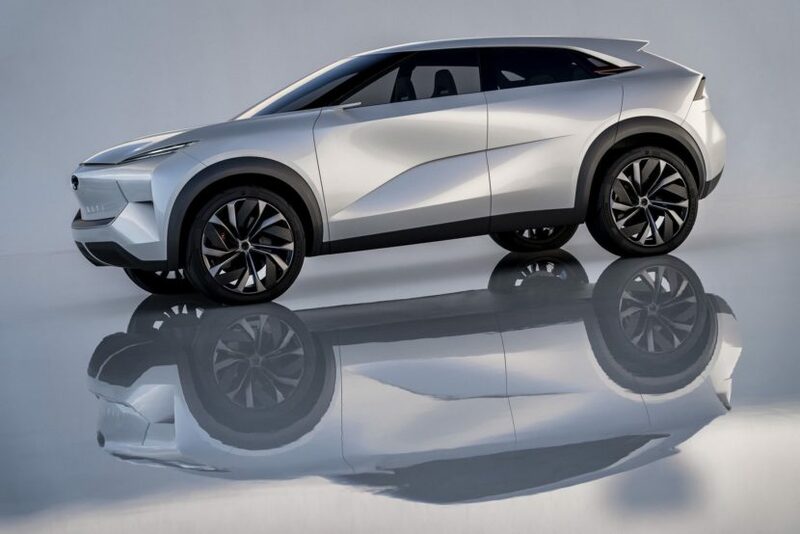 Japanese automaker Infiniti has just unveiled in Detroit their own contender to the premium electric SUV segment. Dubbed Infiniti QX Inspiration, the mid-sized SUV concept serves as a precursor to the brand’s first fully-electric vehicle. The new concept was penned under the guidance of former BMW Chief of Design Karim Habib, now the Executive Design Director at Infiniti. 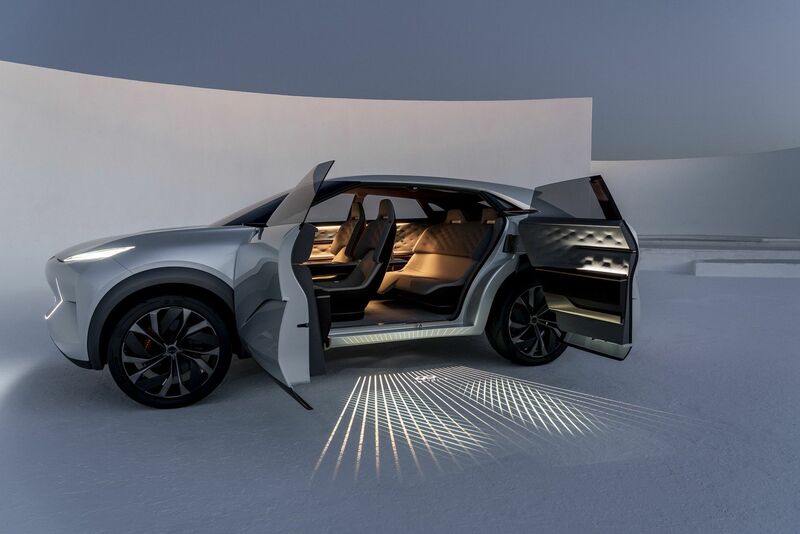 The design of the QX concept stands out with its bold yet luxurious lines, a high beltline and a coupe-shaped rear end and roofline. Muscular curves emphasize the car’s sportiness, along with the wide wheel arches and large 22-inch wheels. At the front, the lack of the grille allowed the brand to place its name in bold letters. The QX Inspiration is 183.1 inches long overall – about the size of the Jaguar I-Pace or Mercedes-Benz EQC – and it rides on a long 112.2-inch wheelbase. The overall height is fairly low for an SUV at 64.2 inches. 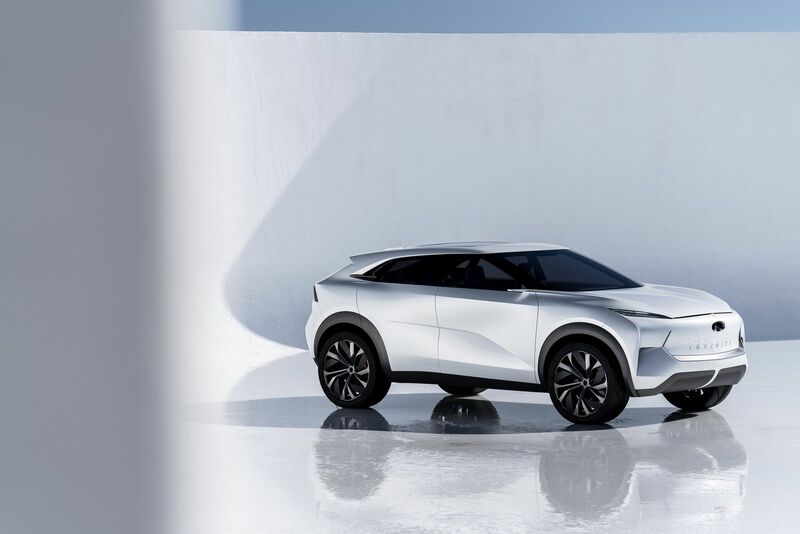 “The QX Inspiration marks the beginning of a new generation of Infiniti cars and establishes a direct blueprint for the brand’s first electric vehicle. 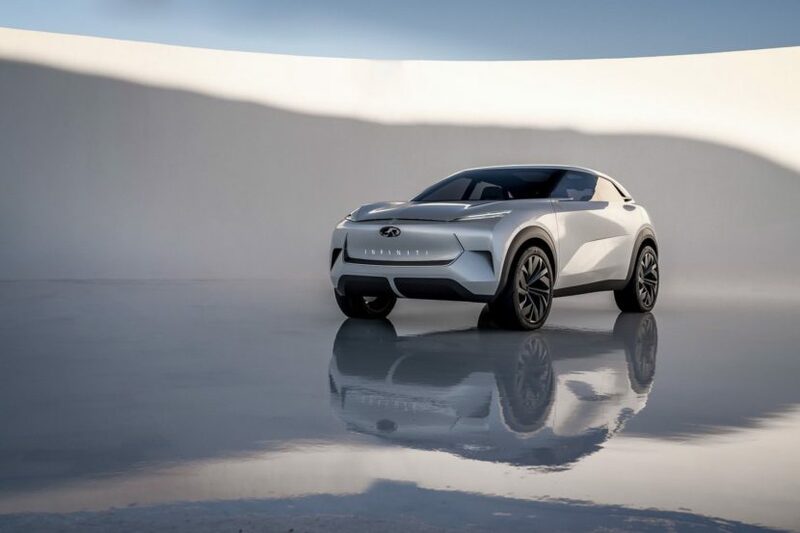 Based on a new, dedicated electric vehicle architecture and inspired by Infiniti’s Japanese DNA, the SUV concept previews a product portfolio which will offer high performance, ultra-low emissions, and total range confidence,” said Infiniti president, Christian Meunier. “QX Inspiration is the manifestation of our electric ambition and has been 30 years in the making,” added design boss Karim Habib. Infiniti emphasizes that it used Japanese “Ma” styling, which puts an emphasis on negative space. This Japanese DNA continues into the cabin. The interior of the QX Inspiration concept is hand-crafted using traditional techniques and a choice of materials inspired by a subtle Japanese sensuality. The development of new electrified vehicle platforms enables the creation of spacious, lounge-like interiors influenced by ‘omotenashi’, the Japanese approach to hospitality. 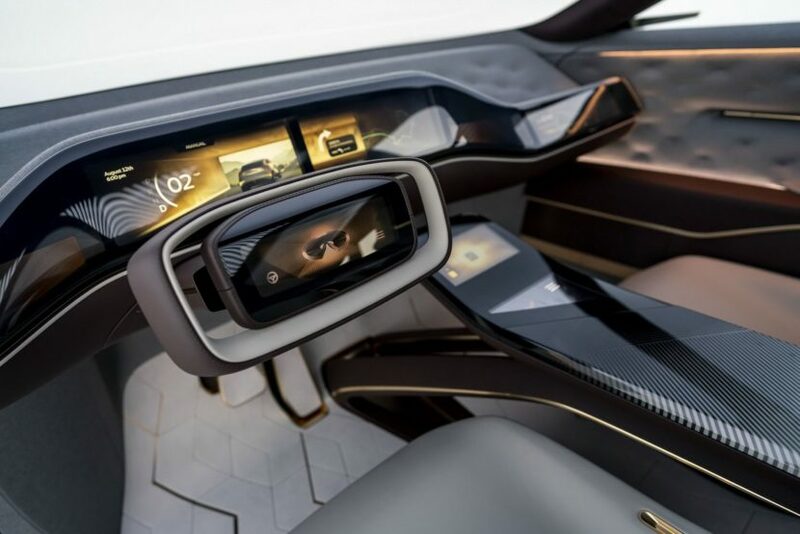 The instrument panel features – as most new electric concepts – an extremely wide display while the steering wheel. That screen is surrounded by four other displays: one inside the steering wheel hub, two in the extra-wide instrument cluster and one ahead of the front passenger. The floor itself is white suede while the roof is finished in Japanese red cedar wood. Infiniti won’t unveil all the powertrain details, the only other tidbit is that this concept is also designed for autonomous driving.